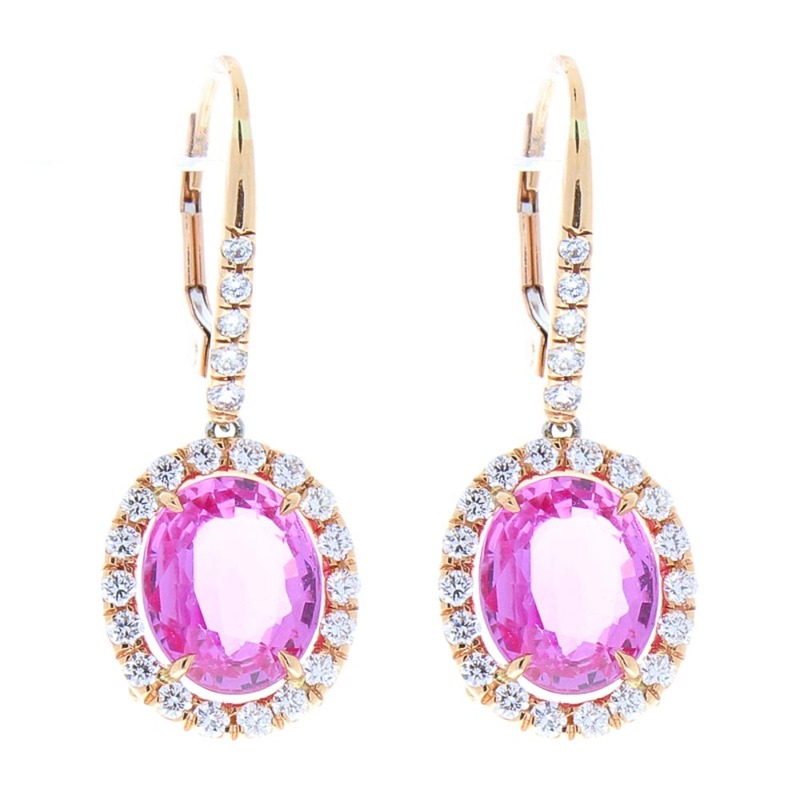 These stunning earrings feature 6.04 carat total weight of exquisite oval pink sapphires. The sapphires were sourced in Sri Lanka; the color of these perfectly matched gems is intense pink with excellent transparency and clarity. Each sapphire is framed and hung from brilliant F/VS quality diamonds, totaling at 0.86 carats made up of 46 glittering diamonds all delicately set in 18 K rose gold. A delightfully graceful accessory for that special ensemble.